Our certified off-site (at our facility), and on-site (at the client's location) data destruction and shredding processes meets all federal government regulations and lows, and is performed by trained technicians. 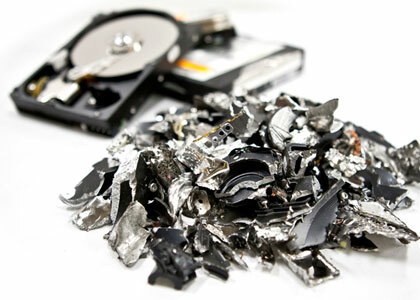 If you require that your sensitive data storage devices remain in your facility until they are destroyed, then we offer mobile - on-site data destruction shredding service, through these services, the client's enables their personnel to witness the shredding process. Our mobile on-site hard drive shredding process is quiet, speedy, secure, and all destroyed materials are transported back to our facility. The Off-site data destruction is not require your direct supervision while shredding. Our professional team will come to your business to pick up, and record each of your end-of-life data storage devices including hard drives, cell phones, backup tapes, DLT, LTO, thumb drives. After all your data is fully shredded and destroyed, we will provide you with a detailed certificate of destruction including full serialized reporting. 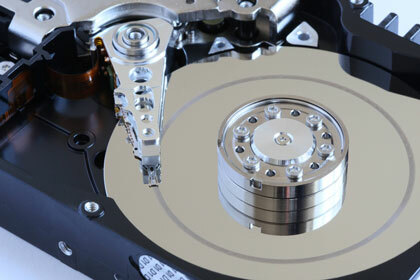 WipeDrive is the only hard drive erasure method that has been approved by NIAP's EAL 4+ Standard. WipeDrive is also the only hard drive erasure method that is listed on the Armed Forces Approved Product list. Our wiping room is secure and locked. Authorized personnel are only allowed in the wipe room, and all data wiping is performed by trained employees, and a certificate of destruction is provided when destruction has complete.